In this fascinating and comprehensive collection of Chinese myths and legends, E. T. C. Werner drew upon material readily available to him as a member of the Chinese government's' Historiographical Bureau in Peking. A former barrister and British consul in Foochow, Werner presents a wealth of information illuminating the ideas and beliefs that governed the daily lives of the Chinese people long before the revolutions of the 20th century. Offering a provocative glimpse into a world dominated by traditional rules of etiquette and inhabited by demons, dragon-gods, and spirits, the volume opens with an introductory chapter on the origins of the Chinese people. In succeeding chapters, Mr. Werner's readable, well-illustrated text considers the gods of China and myths of stars, thunder, lightning, wind and rain; of water and fire; of epidemics, medicine, and exorcism; as well as tales about the goddess of mercy, the guardian of the gate of heaven, accounts of how the Monkey became a god, and much more. In addition, 32 striking illustrations depict such traditional deities as the Spirit That Clears the Way, civilian and military Door Gods, the Kitchen-God, Dragon-Gods, the Gods of Happiness, Office, and Longevity, and others. 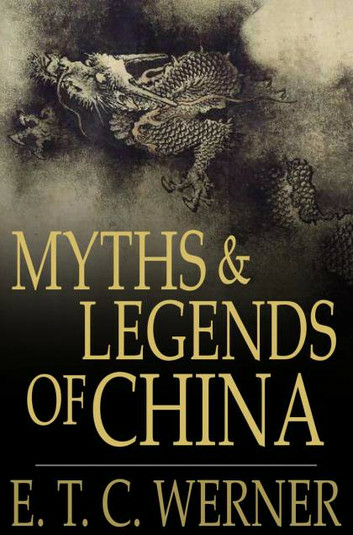 Engrossing and informative, Myths and Legends of China will appeal not only to lovers of folklore but to anyone interested in Chinese art, culture, or philosophy.